Top laggards on the 50-scrip index were Bharti Airtel, Infosys, Hindalco Industries, Dr Reddy's and GAIL, closing around 2-3 per cent lower. Domestic stock markets finished the last session of the holiday-shortened week on Friday on a negative note amid weakness in Asian peers. The S&P BSE Sensex declined 79 points - or 0.2 per cent - to end at 35,158, while the Nifty index of the National Stock Exchange (NSE) settled at 10,585, down 13 points from the previous close. Weakness in IT, energy and metal stocks weighed on the markets. Pharma stocks, however, bucked the negative trend to emerge as the biggest sectoral gainer. Twenty eight out of 50 scrips on the Nifty finished the day with losses. The Nifty IT - comprising tech stocks - fell 0.8 per cent, with heavyweights TCS and Infosys dropping 2.5 per cent and 1.8 per cent respectively. Analysts say domestic markets took weak cues from global peers after the US central bank looked poised to hike key interest rates in its next policy review. In broader Asia, stocks pulled back from one-month highs. MSCI's gauge of stocks across the globe fell half a per cent, its biggest drop since October 26. "We don't have much of a positivity from Asia...volatility is also slightly up, being the last working day of the week," news agency Reuters cited Anand James, chief market strategist at Geojit Financial Services, as saying. Shares in telecom major Bharti Airtel closed 2.9 per cent lower, a day after rating agency Moody's placed the company's credit rating on review for downgrade citing low levels of profitability and expectations of weak cash flow. Meanwhile, the rupee appreciated by 35 paise against the dollar to hit 72.65 at the day's highest point, on declining crude oil prices. Brent – the global benchmark for crude oil – slipped below the $70 a barrel mark for the first time since April. 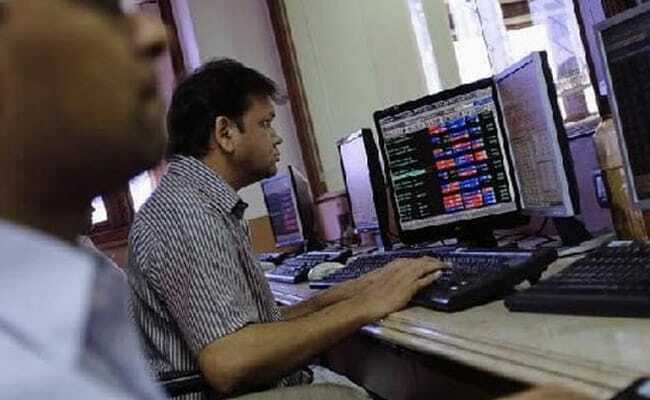 The Sensex finished the week with a gain of 146 points (0.4 per cent). Investors back home will watch the consumer inflation data due next weak for direction. Retail inflation - determined by the Consumer Price Index - likely slowed to 3.67 per cent in October - its slowest pace in 12 months, a Reuters poll found. If the projection comes true, that would mark a third consecutive month of the inflation reading to be within the RBI's medium-term target.